"There's a whole other world of dragons out there." The final trailer for DreamWorks Animation's sequel How to Train Your Dragon 2 has arrived, and this looks like a truly mystifying sequel. 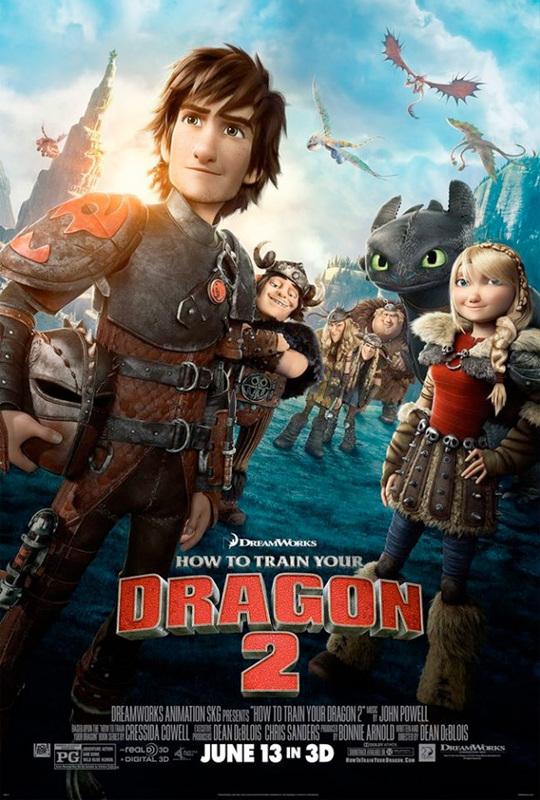 Complete with new creatures, new enemies and even a surprise change in Hiccup's (Jay Baruchel) trusty dragon Toothless, this looks just as good, if not better, than the original animated adventure. Plus, the animation itself looks absolutely incredible, especially the flight sequences. We're definitely excited for all this summer's comic book movies, but this one is definitely on our list of anticipated films too. Watch it below! The second chapter of the epic How To Train Your Dragon trilogy brings back Hiccup (Jay Baruchel) and Toothless five years later. While Astrid (America Ferrera), Snotlout (Jonah Hill) and the rest of the gang are challenging each other to dragon races (the island's new favorite contact sport), the now inseparable pair journey through the skies, charting unmapped territories and exploring new worlds. When one of their adventures leads to the discovery of a secret ice cave that is home to hundreds of new wild dragons and the mysterious Dragon Rider, the two friends find themselves at the center of a battle to protect the peace. 20th Century Fox releases DreamWorks Animation's How to Train Your Dragon 2 on June 20th this summer. ^ This ^ Way more heart and a bigger sense of adventure than anything Marvel has or will serve up. High praise. Especially with GUARDIANS OF GALAXY coming out soon as well. Soars a little too high. A lot was shown here...that being said I'm in. Can't wait to see it. I am freaking stoked for this.